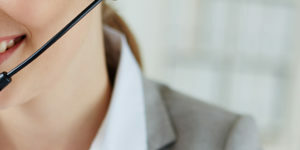 You are authorized to view the www.EsseyLegal.com.au website and its contents using your web browser. www.EsseyLegal.com.au provides detailed descriptions and explanations for the site visitor to obtain an understanding of the services and products offered by www.EsseyLegal.com.au The information on this website is intended to be of a general nature only and neither purports nor intends to be specific advice related to any particular reader. The information and strategies referred to within this website do not constitute advice. Readers should not act on the basis of any matter provided in this website without considering and taking appropriate professional advice with due regard to their own particular circumstances. No responsibility is assumed by www.EsseyLegal.com.au, the author, or the publishers, for any injury, damage and/or loss sustained by any persons or entities or property as a result of using any methods, products, instructions or ideas contained within this website or related material. Both the author and publishers of www.EsseyLegal.com.au, expressly disclaim all and any liability to any person or entity, whether a purchaser or not, in respect to anything and of the consequences of anything done by any such person in reliance, whether in whole or in part, upon the whole or any part of the contents of this publication. Text content on this website is copyright and may not be re-produced, copied, published either in whole or in part, without the consent of www.EsseyLegal.com.au. Graphic content may not be re-produced, copied, published either in whole or in part, without the consent of www.EsseyLegal.com.au. Logos and Trademarks appearing on this website belong to their respective owners. Their display on this site is for information purposes only and does not indicate, expressly or implied, of any association between www.EsseyLegal.com.au and the logo and/or trademark owner. All image content is the responsibility of the developer and publisher of this website, www.EsseyLegal.com.au. All image content has been lawfully acquired by the publisher and developer for display on this site through the use of:1. online and offline image libraries and similar paid and royalty free image supply services with appropriate authority and approvals.2. own images taken by the owner of www.EsseyLegal.com.au The developer and publisher respects and complies with all copyright laws, therefore, should the copyright of any image on this website be claimed to be in question, please contact www.EsseyLegal.com.au by one of the methods on our Contact page. Links to third party content have been provided in good faith for the purpose of providing further and useful information to our site visitors and do not indicate, expressly or implied, any endorsement by us of the sites or the information, products or services provided at those sites. www.EsseyLegal.com.au is not responsible for the content of the websites of third party identities.